The 58th Filmfare Awards South ceremony honoring the winners and nominees of the best of South Indian cinema in 2010 was held on July 2, 2011 in Hyderabad. Megastar Mammootty awarded Best Actor (Malayalam) for the film Pranchiyettan and the saint. It also honored as the Best Film. 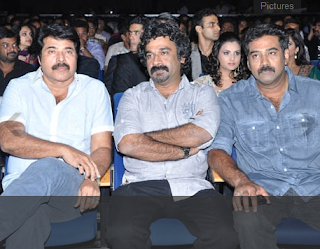 Director Renjith, Biju Menon(Best Supporting Actor) also were in the star studded function.